Toyota is committed to developing technologies to ensure that you derive optimal enjoyment from your vehicle. From time to time, we may need to repair or replace a vehicle component to help maintain the quality and safety of your vehicle. 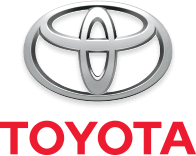 As a Toyota or Scion owner or leasee, you will be notified by mail if your vehicle requires repairs or servicing and you will be instructed as to how to obtain the repair or servicing at no cost to you.Campaigns conducted by Toyota can be Safety Recall Campaigns and/or Limited Service Campaigns. Certain Warranty Enhancement Programs may also be applicable to your vehicle. Click the Button to the right to look up safety recalls and service campaigns through the Toyota Canada Website, or fill out the form below and one of our Service Team members will be more then happy to check for you and followup with you. Don't hesitate - as this is a FREE check, and you're under no obligation for anything.